I keep asking, you, but I’m probably asking myself if I’m excited. For MoCCA Arts Fest. This weekend. Hah. Pick up Style Olympus, by me and Daniel Fishel, at A106. 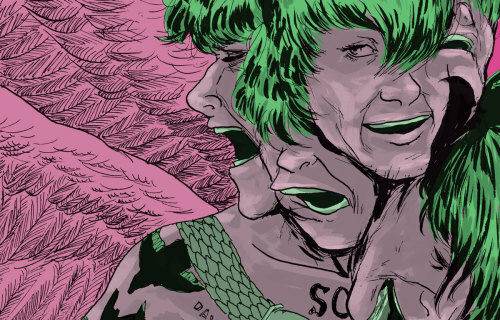 It’s a zine where we transform modern style guys into Greek Gods. This is John Dwyer (of Thee Oh Sees) as Morpheus. There will be a print of this one and one more. All Things ©2010—2018 Narciso Espiritu Jr.